Many who know me will also know that my favourite horror story is without a doubt Susan Hill's 1985 novella The Woman in Black - I don't read a lot of books myself, but this is one I've always adored and cherished since introduced to it many years ago. Hill successfully crafts a creepy atmosphere with her beautiful first person prose and exceptionally structured narrative, all hosted by well developed characters - it equates to an engrossing, emotionally stirring, and truly frightening ghost story. When it comes to adaptations, arguably the best known one is the stage play by Stephen Mallatratt, which has been running at London's West End since 1987. However, the novel has also appeared twice on film: the 1989 ITV television special and 2012 theatrical release by Hammer Films. The latter is perhaps the better known of the two simply because the former is so damn rare in today's world, though it's fame has grown since it's modern counterpart launched and made more and more people aware of it's existence. 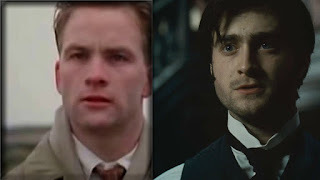 The principle story is kept pretty much the same as the novel in both films - young lawyer Arthur Kipps is tasked by his firm to handle the selling of Eel Marsh House, a lone mansion in the market town of Crythin Gifford, after the death of owner Alice Drablow. Whilst attending to the case, a fearful essence overpowers him and those around him, with more and more frightening truths soon coming to fruition as his duties continue. Both Rawlins and Radcliffe do a great job as Arthur for sure. There aren't many secondary characters in the original story outside of Sam Dailey, a landowner whom Arthur meets upon arrival at Crythin Gifford, and of course Jennet Humfrye, the titular antagonist herself. The role of Sam Dailey is taken on by Bernard Hepton in 1989 and Ciaran Hinds in 2012 - again, both are loyal to their novel counterparts in terms of their empathetic persona, though the character himself is also dramatically altered in the newer release. Whereas Hepton's Dailey, in line with his novel persona, is fearful of the eponymous ghost though fits in with the village community with his reluctance to discuss her presence, he brings forward a very...uh, forward dismissal of her supernatural reputation in the 2012 film, despite a clear knowledge and fear of her deep down. These changes work at times and help to add some variety, but also make him somewhat inconsistent, and sometimes strangely willing to put Arthur in grave danger which goes against his previous behaviours. In contrast, Hepton's portrayal is more loyal to the novel, though one can't deny he sometimes lacks development and so can become a little forgettable; though to be fair, the novel itself sometimes had the same issue. 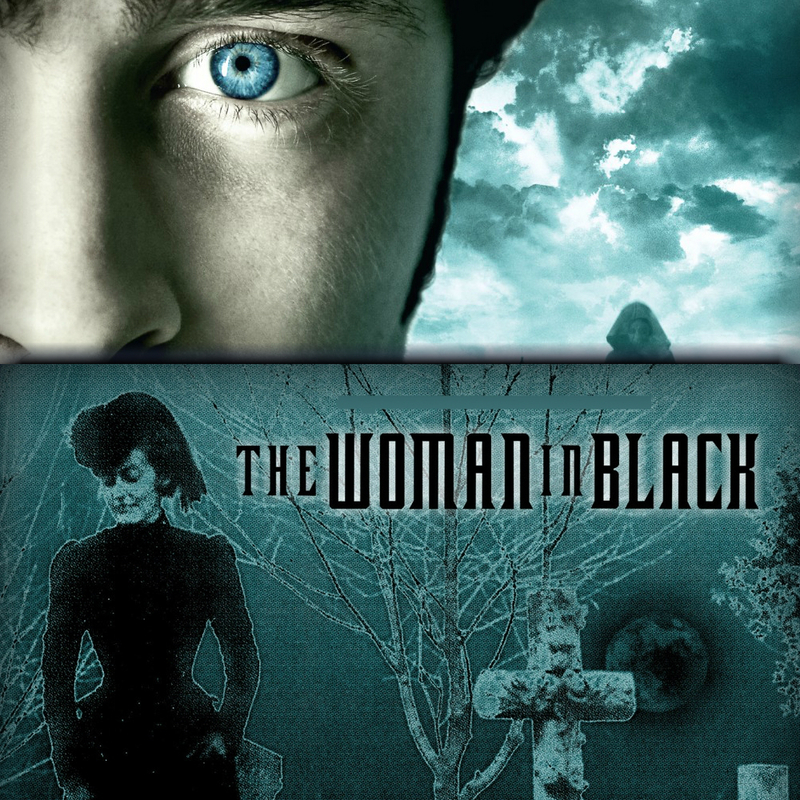 Pauline Moran as the Woman in Black herself in the 1989 adaptation. Freaks me out even today. It goes without saying that a novel adaptation must be free to stir things up in order to make for a fresh take on it's basis and avoid an unbearable run time. It's not unreasonable to dub the 1989 film the more loyal of the two in this case, as the 2012 film is certainly more ambitious when it comes to being unique in it's own right - Arthur's wife being dead from the start, Crythin Gifford eager to be rid of him, the quest to reunite Jennet Humfrye's ghost with her deceased son, are just a few examples of it's many alterations. Some of it works, some of it doesn't; latter parts of the film can often feel a bit bloated and loud, lacking the atmosphere the book and original film mastered so well at times, and character development can sometimes be a little inconsistent. When it comes to the 1989 film, it generally follows the book well, though is notably different near the end - I'd easily dub it a weaker ending when compared to the novel, though far superior than the overly sentimental, sporadic conclusion of the 2012 film. Another notable change in the 1989 film are the names - some odd surname alterations simply because pompous writer Nigel Kneale disliked Susan Hill's usage of names from the works of HG Wells. Not really anything to lose sleep over, but still a tad daft regardless. But what about the titular villain herself? Jennet Humfrye (or Goss) is portrayed by Pauline Moran in the 1989 film, and I'll stress from the start that her appearance is wonderfully crafted despite the limitations, with brilliantly eerie makeup and costume design; all of which is carried into action by a superb performance by Moran herself which proves that less can be a lot more when it comes to delivering truly frightening scares, even if a bizarre climactic scene is perhaps a bit too clumsily filmed and performed to remain scary. The role was taken on by Liz White in 2012, and while she certainly does her best at helming some very freaky moments, she's often a little too twisted up in a series of loud set pieces which often subtract from the core tension of the story. Her appearances just rely too much on jump scares with excessive (if well done) visual effects, making her feel less intimidating and memorable in the long run. Liz White as the Woman in the 2012 film. Impressive visuals, but I can't say it's as scary as it's 1989 rival. Which is the better film? Perhaps that's a bit crude given their dramatic differences, and it all comes down to preferences. Some may find the 1989 one boring and slow and the 2012 one fast paced and more entertaining, whilst others may find the 2012 overly loud and repetitive and the 1989 one an atmospheric, far more engaging horror/drama tale. Some may love both just as much, or vice versa - of course the 1989 film stands tall as my favourite horror film to date let alone the superior film in this comparison, and while the 2012 film is a decent modern adaptation of the story and an entertaining film in general, the substantial changes and excessive loudness make it less chilling than it's source material without a doubt. Again, all down to what you prefer from a horror experience, but I'd always go for the 1989 film no questions asked.